When selecting a Bauer gear motor, there are important factors that have to be taken into account beyond the size and speed of the motor. There are certain applications that may require a specific speed and torque to meet overall requirements, typically in industrial or assembly applications. There is a variety of options when it comes to Bauer’s gear motor line, but by choosing the right gearbox the motor can be optimized while meeting the required output speed and torque. You can choose from the right angle worm, right angle bevel, planetary and parallel shaft gearboxes. Each of these types of gearbox possesses certain design characteristics that will dictate the performance of the reducer in the application. When making a choice for a gear box, it is also important to consider gearing components that include the worm, bevel, spur and helical gearing options that will complete the process of reduction according to their unique design attributes. The reducer matrix must match an appropriate gearbox for the intended application. This requires careful consideration of key parameters like duty cycle, maximum input speed, maximum torque, efficiency, noise, limitations and back drivability. 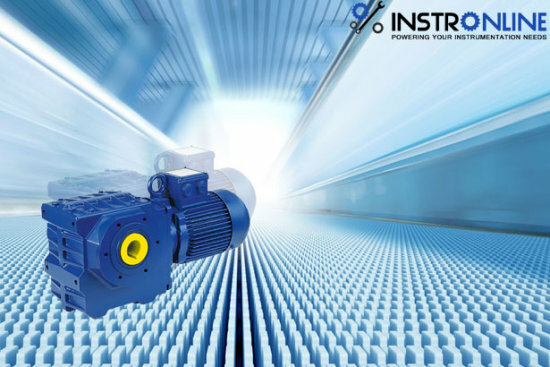 These common parameters are necessary when you are purchasing standard, off the shelf gearboxes since custom designed gearboxes can be tweaked to run outside of standard parameters. The three most common parameters that will affect your choice for a gearbox includes duty cycle, maximum input speed and maximum torque. These parameters can easily be gathered from the application design inputs and motor outputs. Another important parameter is efficiency, because it has a big effect on performance. The efficiency of the gearbox is affected by quality, ratio, gear type, lubrication, bearing types and side loading. Generally, high efficiency is preferable for any application but it also means higher costs. Noise is also a factor, but it is subjective because what can be considered as noisy in a residential neighborhood might not be in an industrial setting. Additional protective measures can also be taken to protect staff from noise pollution. Gearboxes also have their share of limitations and these require careful evaluation. There are gearbox designs with mechanical limitations due to limited output torque as a result of mechanical wear on components or thermal limitations due to heat that may be generated on the gearbox. Heat can directly affect the efficiency and life span of the gearbox. When there is high heat generated, it means that the gear box is not running as efficiently as expected. In addition to the criteria for gearbox selection, there are other relevant factors that need to be taken account in your choice for Bauer gear motor. In order to ascertain the ideal setup, your business can count on our expert advice and consultation. Contact us today to learn more.